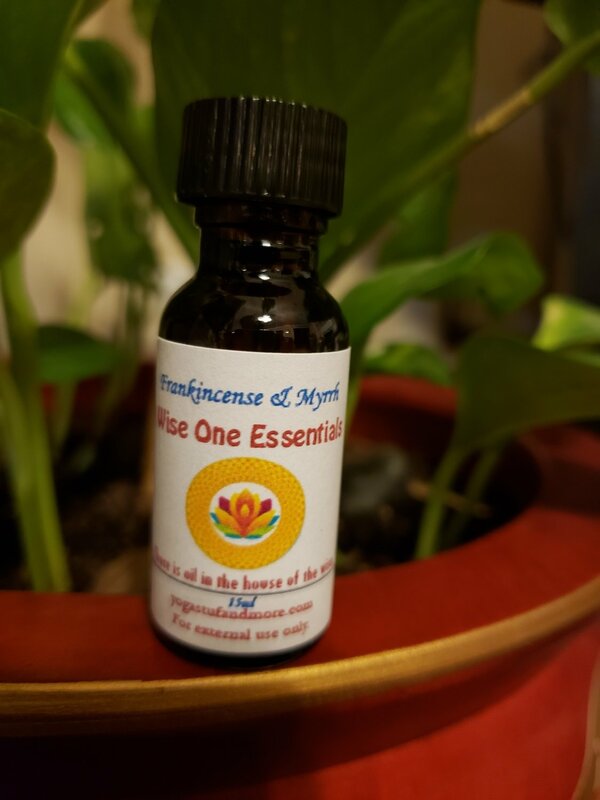 Frankincense-Myrrh Fragrance Oil Deep, musky scent with warm overtones of Amber resin and Myrrh beauty. **Best Seller. One of my favorites for home and studio. Disclaimer: The information provided here is for educational purposes only, and not intended to treat, prescribe, cure, or diagnose any disease or condition. This information is not intended as a substitute for consulting with your physician or other health care provider. Yoga Stuff & More, llc is not responsible for any adverse effects or consequences resulting from the use of any of the suggestions, preparations, or procedures discussed. All matters pertaining to your physical health should be supervised by a health care professional. Keep all aromatherapy products out of reach of children.